Truck-Tool-Box is a subdivision of Hagerstown Metal Fabrication, Inc., Maryland’s leading source for custom fabrication. 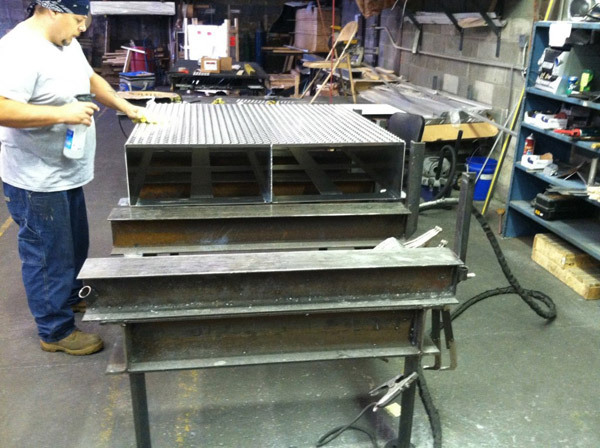 For custom fabrication visit us at hmfinc.com. All of our SUV and truck toolboxes are hand crafted from professional grade, heavy-duty aluminum onsite at our Hagerstown, Maryland facility. We offer only superior quality storage solutions, customized to fit your specific vehicle. Plus, each and every toolbox we create comes with a 100% Money Back Guarantee— upon delivery, if you’re not satisfied with your order, simply request your money back! Here at Truck-Tool-Box.com, we are so confident of the toolboxes constructed by our skilled builders, we offer an incredible 10 Year Warranty against defects in material and workmanship—with no need to provide a receipt! Every truck and SUV box produced is provided with a serial number, which means your warranty is even transferable, for a full decade, to subsequent owners.